Join us Wednesday, November 14, 7pm for our next Van Nuys Neighborhood Council Board Meeting at the Marvin Braude Constituent Service Center, 6262 Van Nuys Blvd. 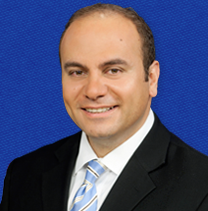 Assembly member Adrin Nazarian will be our guest speaker. Proposed opening of Perfect Kush Cooperative, cannabis distribution center at 14748 Keswick St. Proposed sub division at 14401 Valerio St. Proposed new construction of 11 apartments at 14822 W. Delano St. Proposed speed limits on Chandler between Coldwater and Van Nuys Blvd. Proposed playground and health station circuit at the pergola in front of the Van Nuys LAPD station.